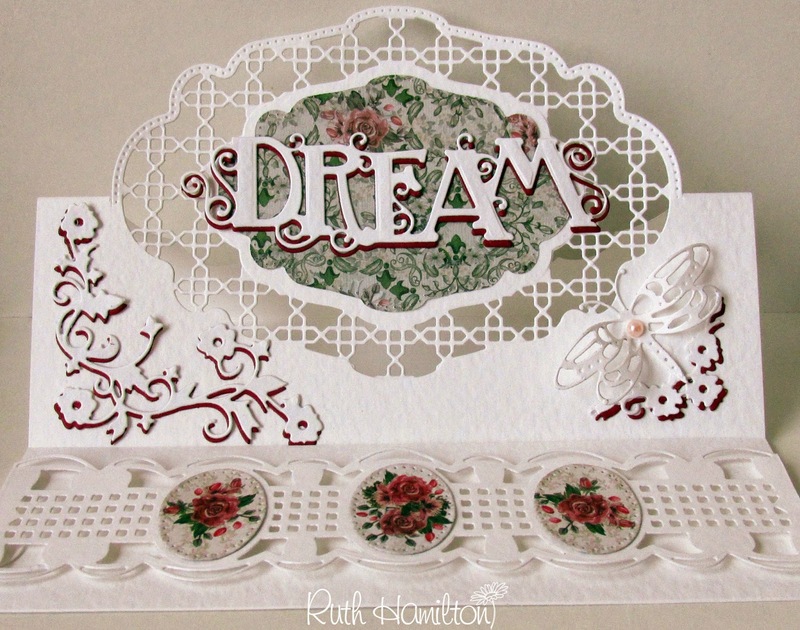 Tonic Studios have just released some more gorgeous new dies on Create and Craft and I've made a card using one of the sets - Deco Oval Trellis . I've made an easel card and cut it so that the trellis part stands up. Then I added some Cameo Boutique paper to the centre with a Dream sentiment on top. The strip along the bottom of the card was made with the Twine Buckle dies. I've added a couple of corners from the Just for You set along with a Delicate Dragonfly Petite Rococo die cut.